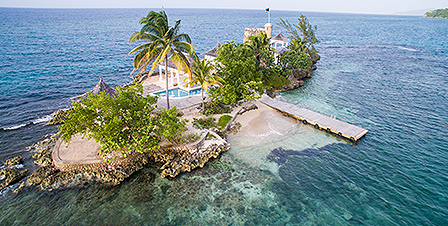 Surround yourself with the intoxicating colors and flavors of the islands. 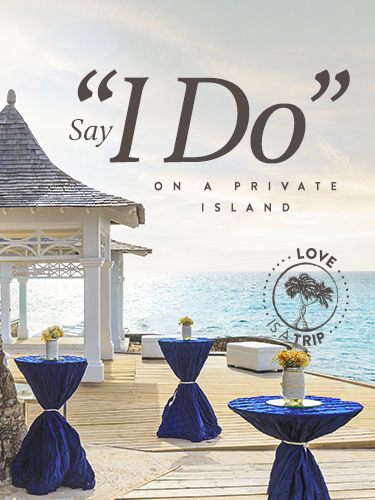 Share your special day with up to 10 friends, as they toast your happiness with signature Jamaican Rum Punch or sparkling wine. Pose for portraits in a beautiful gazebo adorned with customized tropical flowers and kick off the reception with a slice of designer wedding cake. No need to take time from your special day to worry about pictures. Our photographer will be snapping candid shots of you and your guests. 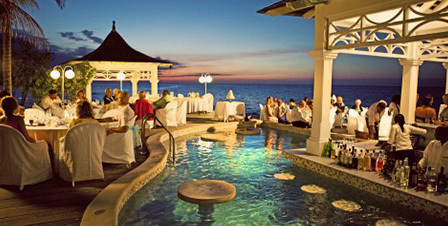 Celebrate your love with family and friends against the glorious backdrop of a Caribbean sunset. Set exclusively on the beach or in the gardens, your backdrop will be lit up pink, purple, and gold hues. The romantic gazebo is decorated with roses, orchids, or tropical blooms that is echoed in your wedding bouquet and stunning two-tier wedding cake. A sparkling wine reception for up to 20 guests marks this very special occasion in style.